to Educate Haitians in Haiti, and Haitians in diaspora. A highly motivated, flexible, well-organized individual with 26 years experience in translating documents and typing various types of documents and enter data in the computer when it is necessary. Seeking to take next career step with a highly respected company focused on creating engaging training campaigns for high-end and luxury brand clients. I worked as Translator with the Economic Recovery and Development (ERD), department at the International Rescue Committee (IRC) Haiti and I was currently working as an Administrative Assistant with the Child and Youth Development Program (CYPD) department at the IRC Haiti since July 19, 2010 – to October 31st, 2011. This position has led me to playing a key role in facilitating the implementation of CYPD activities through the clearance of all necessary procedures. Personal development is of particular interest to me as well as providing support in humanitarian work. My positive attitude pushes me to work harder, and to meet deadlines. I am looking for a new challenge to broaden my horizons and to gain new skills all of which I see the potential for the advertized position. 2016: Translation Certification Program with GLOBAL TRANSLATION INSTITUTE (GTI) Key Biscayne, FL. January 2015 – Now: Bachelor in Christian Studies with Bold Christian University, USA. Continuing Education: October 2007 – January 2008: Installation and NGO Management at the Institute For Professional Training, Port-au-Prince, Haiti. Diploma obtained with mention: EXCELLENT! March 2006 – November 2007: Studies in Administration and NGO Management. Institute of Study for Peace and Cooperation, Spain. November 2004 – December 2005: University of Natural Medicine, San Dimas, California. Bachelor of Science (in Natural Health Sciences). January – June 2000: Postgraduate Studies in Educational Investigation. (École Normale Superieure, ENS) of the State University of P-au-P, Haiti. March 2000 – June 2001: Continuing Education in Methodology of English as a Second Language (ESL) – Program attended as English Teacher Trainer from Tele-University of Quebec (TELUQ). November 1993 – July 1996: Graduate as English Teacher from the Faculty École Normale Superieure (ENS), P-au-P, Haiti. Field of studies: Foreign Languages. June 1990 & July 1991: Diploma of BACC. I & II obtained at the State Official Exams (end of Secondary School), P-AU-P, Haiti. November 27 – 29, 2010: Basic Concepts & Interventions in Mental Health Care, sponsored by Psychiatrists Without Borders, USA, held at Kinam Hotel – Petion-Ville, Haiti. October 2008: Certificate obtained in participating in the DO’S AND DON’T OF TRANSLATION WORKSHOP with The Translation House Network (TTHN), Ecole Normale Superieure, P-AU-P, Haiti. August 2004: Certificate of Achievement with the Soros English Language Intensive English Teacher Training. Successfully completed a one-week course on English Pronounciation. Open Society Institute, Effective Writing and ELT. New-York, USA,Techniques for Young Learners. February 2003: Peace-Corps (Haiti). Certificate obtained in recognition for successful participation in the Language Training of Trainers. Port-Au-Prince, March 18, 2002. March 16, 2002: Certificate of Aptitude to the Teaching of French. (CAEF). – Program conducted by UAG (University of the Antilles and Guyana). May 17, 2002: Certificate of Honor and Merit awarded for my full contribution as a Language Trainer to the good functioning of the Institution Lycee Antenor Firmin, P-AU-P, Haiti. June 2017: Creole Edition Translation for BLI Translations located in Boston, Massachussets. Volunteer Translator attaché at Translator Without Borders (TWB) since November 4, 2016–Now: My task is to receive all kind of documents coming from Humanitarian Organizations worldwide and translate them from English-French, English-Haitian Creole and French-Haitian Creole and submit them to Translator Without Borders Head Office. March 24, 2014 – December 15, 2015: Technician at Grays Aqua Farm Ltd. Located at North Hampton, NB, Canada – I did multiple tasks including mostly enter all the daily reports in the computer and other relevant tasks when needed. Assist the Program Officer with the liquidation of advances. 2007 – 2008: Interpreter-Translator at Three Angels Children’s Relief, # 19, Delmas 91, Petion-Ville, Haiti. 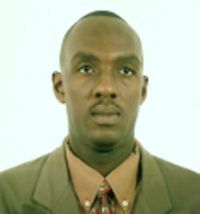 August 2004 – July 2008: Translator affected at SEDACTRAR Services, 505, Route de Delmas, Petion-Ville, Haiti. February 2003 – June 2005: Language Instructor attaché at Peace-Corps / Haiti.115, Rue Pan American Petion-Ville, Haiti. August 2002: Sworn Interpreter-Translator affected at the service in the Cabinet of Me. Rigaud Duplan & Associates for the translation of documents from abroad especially in cases of adoption. June 26, 2004 - 2007: Authorized Translator attaché at SEDACTRAR’s Office for translation, Petion-Ville, Haiti. April 2002 – February 2003: Occupying the post of Business English Professor at University Lumière M.E.B.S.H. (ULUM) – Port-au-Prince, Haiti. September 2001 – February 2003: ESL Teacher specially dedicated for those two following Class Examinations: Rheto & 9e Année Fondamentale. Institution Saint-Louis De Gonzague. Port-Au-Prince, Haiti. August – September 1995: Interpreter at MINUHA/UNMIH with the coordination of UN Troops working mostly in the difficult areas of conflict through the Metropolitan areas of Drouillard and its surroundings. 1995 - Present: Independent Translator and Interpreter. October 1993 – February 2003: EFL Teacher at Lycée Antenor Firmin. Port-au-Prince, Haiti. 2014-Now: Member of Multicultural Association Carleton County, Woodstock, New Brunswick. June 2005 – Now: HICLATFOR’s CEO – HICLATFOR stands for (Home Intensive Creole Language Training for Foreigners) located at: 194 Connell Street, Woodstock, NB, E7M 1L8. May - July 2006: Creole Language Instructor for an Intensive Creole Language Training for an expatriate employee at USDA APHIS International Services, P-AU-P, Haiti. March – May 2006: Consultant for a Creole Training Program for an expatriate employee at Concern World Wide /Haiti. October – December 2005: Consultant for an Intensive Creole Teaching Methodology Program at FONKOZE (NGO) /HAITI for expatriate employees. January – March 2007: Consultant for an Intensive Creole Teaching Methodology Program for expatriate personnel of FONKOZE. English, French, Creole, Spanish, German (read, written, spoken). Experienced translator and interpreter; skilled typist; good knowledge of Microsoft Office, Windows, Word, Excel, Access, Power Point & Internet skills. The details enclosed herewith are true of my knowledge and belief.